Cashco is in your neighbourhood. There are new signs going up on Cash Canada payday loan stores throughout BC, Alberta, Saskatchewan and Ontario. The new bold blue and orange signs let people know that our new name is now Cashco and that we are pretty excited about it. And we should be excited because big exciting things are happening. We have a new brand name, a new store look and design and even new loan products on the way. But the best news of all is that our people have not changed. 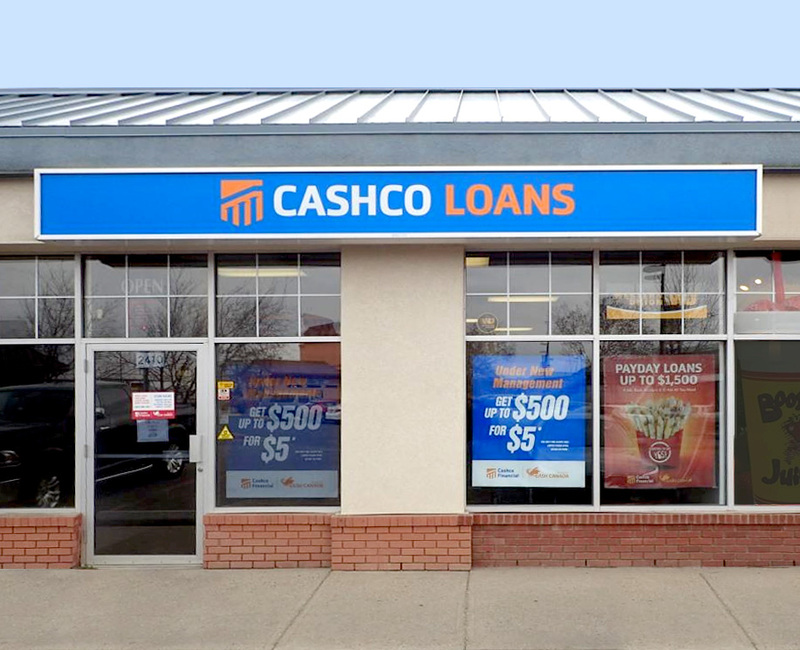 Our name is new, but Cashco is still owned and operated by the same customer focused organization and our 65 payday loan stores are still staffed by the same great managers and associates who have helped thousands of hard working under-banked Canadians gain convenient access to payday loans and credit over the past 10 years. Over that decade, we have grown slowly and organically from a small five store chain into a mature business that writes over 200 million dollars worth of payday loans a year and employs over 400 people across Canada. We have been innovative and forward thinking and the results in terms of our growth and development prove it. But standing still is not an option. Things are changing in our business and in the needs of industry consumers and our clients. Now the time has come for a positive change in the payday loans and alternative finance industry. Cashco is preparing to lead the way into the future by taking the next step in the evolution of providing non-bank banking services to the people who the banks have left behind. We are ready to fill that gap in the marketplace. The first step in the process is to officially change our name to Cashco. 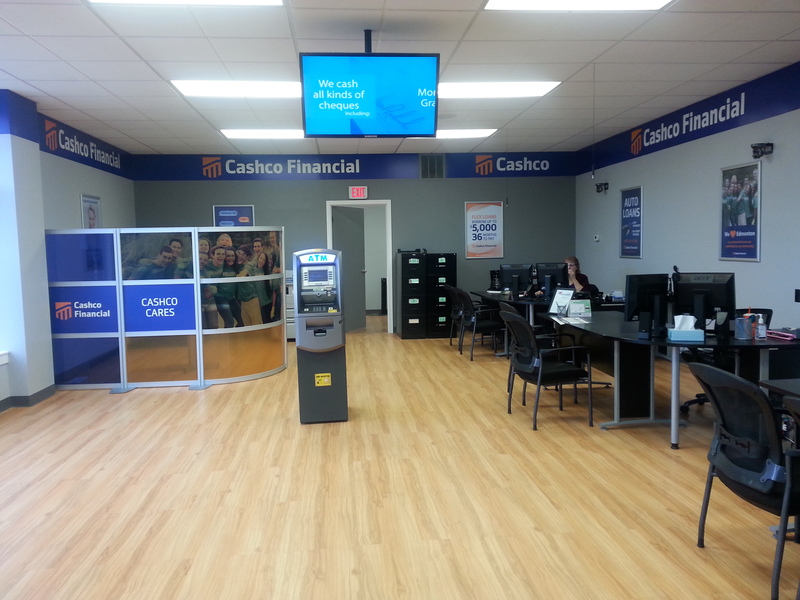 A key reason for the change is to distinguish our Cashco payday loan stores from our 15 Cash Canada pawn stores. Cash Canada pawn will continue to operate and grow under that brand and banner with the goal of providing heroic customer service. But there is a bigger picture. The name change and store re-branding also gives Cashco an opportunity to tell our story about who we are, what we do and where we are going. The new name brings together our experience of the past and our vision of the future. We see more and more that banks are unable and unwilling to provide fast easy loans or extend credit to those they deem to be unworthy of credit. These are the under-banked and underserved we welcome with open arms along with open and direct access to a full suite of loans and financial services designed to meet their needs and lifestyles. The new Cashco is more than just a name change. It is also reflected in the modern and upscale interiors of our new stores. The layouts are open, warm and welcoming because the friendly environment we provide is another factor that makes Cashco different and better. We conduct our business one-on-one together at desk. We want our clients to feel comfortable, relaxed and secure. We don’t believe in doing business from behind an intimidating bullet-proof glass cage. Today, six Cashco stores feature the “Boutique Bank” look. Over the next few months, all of our stores will be renovated and refreshed to sport the new layout, colours and fixtures. 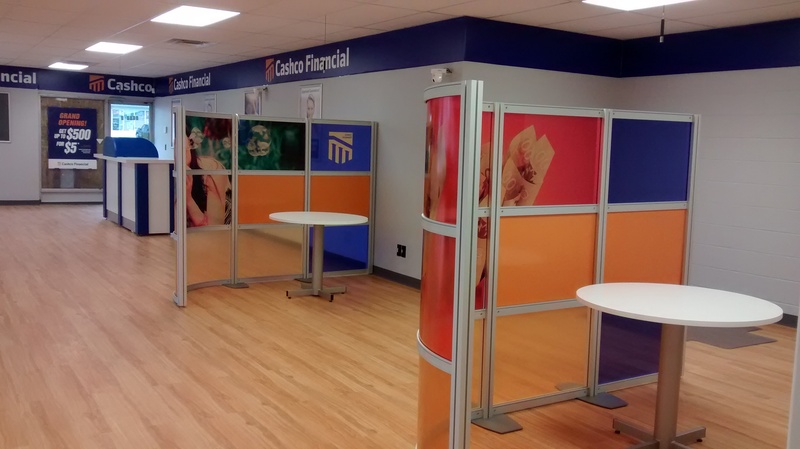 The concept for the Cashco boutique bank is to offer a wider choice of loan products to a wider group of clients as options in addition to a traditional payday loan. A traditional payday loan is a good solution if the financial issue to be solved is short-term and can be comfortably paid back out of the next paycheck. If that is the case, a payday loan is a very viable solution and we want to be amazing at providing payday loans to anyone who needs one. A payday loan approval requires proof of income, an active chequing account and 2 pieces of photo ID. However, for those with a longer-term financial issue, a payday loan is not always the best answer. That’s why we have different loan options like the Cashco Flex Loan instead of a payday loan. Here’s the difference between the two. On the other hand Flex Loans, also known as Term Loans, can be for amounts from $500-$5,000 with up to 36 months to pay back. Flex Loans require a credit check and the payment history of the loan is reported to Trans Union. A good record of on-time payments can really help build the credit score of the borrower. We call it a Flex Loan because of its flexibility. It is flexible with amounts and terms. Loans can be topped up anytime as payments are made which can help rebuild marginal and low credit scores. A Flex Loan may be a good solution for debt consolidation, to make a larger purchase, or perform a home repair. Applications for Flex Loans are available in any Cashco store or online at Cashcofinancial.com/term-loans. It usually takes 1-2 business days to approve and fund a Flex Loan. More evidence that the Cashco concept is new and different is the fact that we also offer sub-prime auto loans. We specialize in connecting credit challenged clients with cars, a credit plan and monthly payment they can afford. Our unique system finds the right approval and credit plan that works for the client’s needs and then matches them with the perfect used car from our superb selection of recent model reconditioned vehicles. Clients can find out more or apply for approval of an auto loan in any Cashco store or online at Cashcofinancial.com/auto-loans. Of course we still offer cheque cashing, bill payment and Western Union money transfer services at all Cashco locations. The times are changing in the payday loan industry. Check out one of our stores or look us up online to find out more about the people and products of Cashco.